Home » Thoughts from The Sage » First Monday of 2009! Wow! It was so crazy around here yesterday, we were running around like crazy. 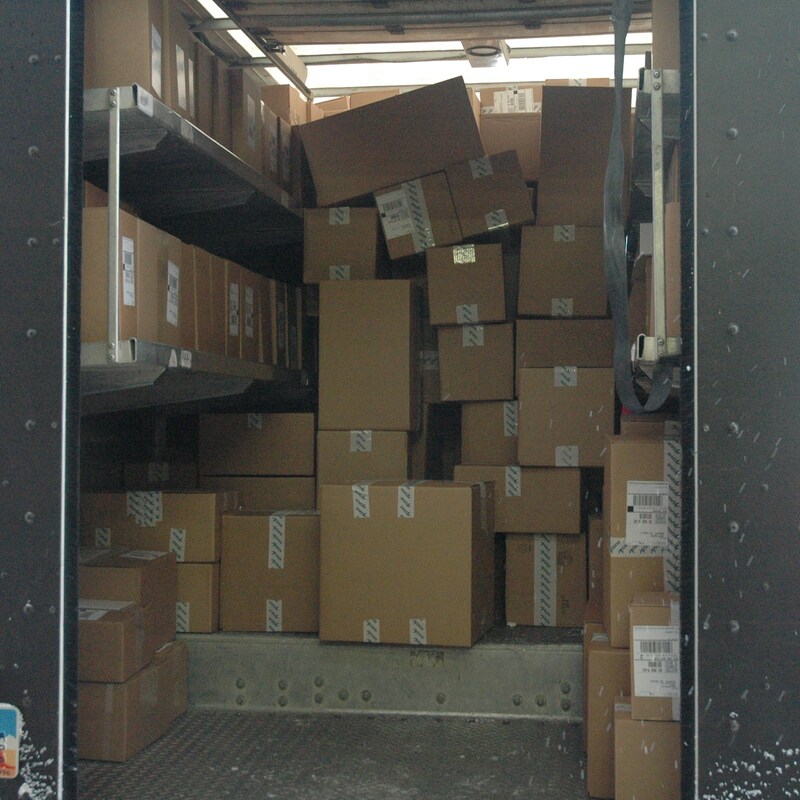 The pile of packages was so big when our UPS driver came to pick up we just about filled his truck. We didn’t get as many shipments out as we would have liked but we are catching up with great speed. Meet Anthony, our UPS driver. He is trying to figure out how to get as much as possible on his truck. Off he went with tons of boxes with the MMS tape!